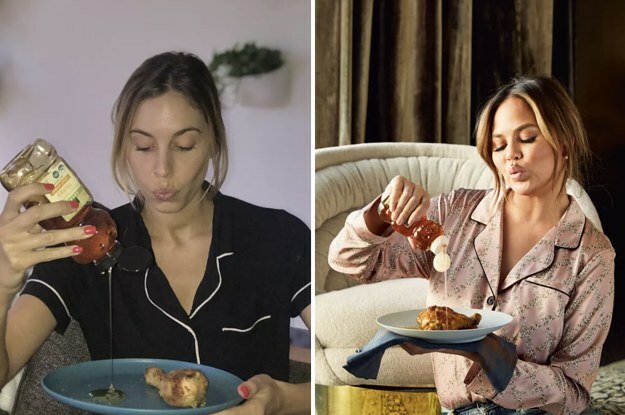 Also, we did our best to re-create the picture Chrissy has in the cookbook with her chicken, you’re welcome. All in all, to literally no one’s surprise, these recipes are goooooood. We mean, goooood. Even the bagel breakfast bake that took 3.5 hours of our lives. We look forward to making more of these recipes in the future. In the meantime, our ABSOLUTE must-make recipes are the Taters, Shrooms, and Peas with Parmesan Cheese and the Twitter Famous Banana Bread. But who are we kidding — make them all.